Choosing between VoIP & Landline for your business can be a tricky decision to make, particularly if you are not experienced in telephony solutions. 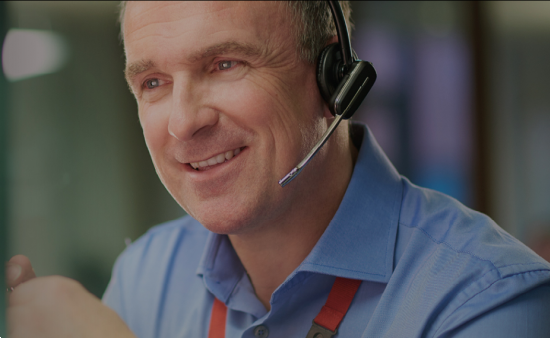 Here at Armstrong Bell - leading providers of VoIP systems, we have over twenty years of experience in telephony solutions, and consider ourselves as experts in the trade. During our years of experience we have upgraded telephone systems for a wide range of businesses and organisations and have proudly watched companies reap the benefits of a hosted phone system, but what makes them better than a landline? While most of us are familiar with a landline phone, some of us may not be as familiar with the term ‘VoIP’. 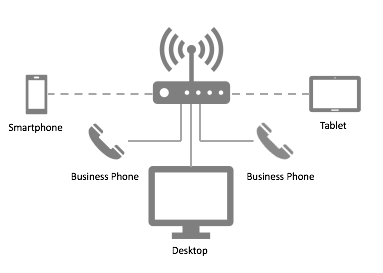 VoIP allows calls and other forms of networking in and out of the office to be performed via an internet connection. Unlike a landline which is connected to a phone port, a VoIP system uses a networking cable that connects to the site’s broadband connection. With all the usual functions of a traditional handset, but offering many more features and benefits to businesses at extremely cost-effective prices. Making the choice between VoIP & traditional telephony depends on different factors such as the scale of your organisation, your broadband connection, and your budget. Business VoIP is ideal for both small and large companies who rely on networking and communication to increase productivity within the business – such as call centres and other businesses that communicate with clients on a regular basis. While landlines offer a secure phone connection, the systems are often limited with what else they can offer clients and customers. In a tech-savvy and tech-reliant world, the need for new and innovative systems to organise and communicate with is now greater than ever – which is where business VoIP comes in. As with any form of technology there will always be at least one or two cons associated with an advanced system. Due to the fact it relies on an internet connection to run, it is essential that companies have a fast, secure and reliable internet connection in order to use VoIP for business. However, if your company does not have this already, our Business Broadband products may be of interest to you. There is an extensive amount of advantages that our systems can offer your business which represent your company in a professional and caring manner. The features our VoIP systems have, mean that calls will be organised in a fast and expert manner, reducing the risk of angry waiting clients, and flustered employees. Our systems can offer advanced features such as Hotdesking, call forwarding, hunt grouping and much more – taking the pressure off of you and your staff, and most importantly your customers. If you would like to find out more information on our VoIP and Hosted solutions, click here - or call 01527 834850 to speak to a member of our team.